Refuse driver Chuy Estrada’s uncommon work ethic and positive attitude have made him a role model for his peers and a mentor in his department. 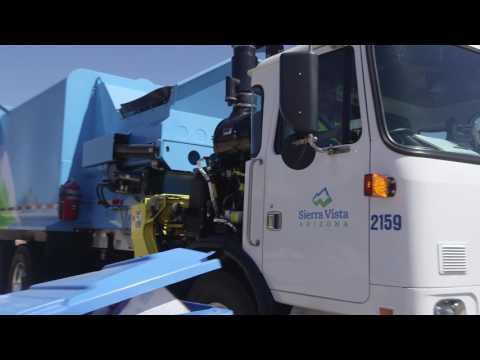 In his nearly 33 years working for Sierra Vista, Arizona, Chuy has earned a reputation for extraordinary efficiency and reliability. When another refuse driver calls in sick, Estrada never hesitates to help complete the additional route. It can be difficult for drivers to stay on schedule with just their own route. But when asked, Chuy manages to complete extra duties and still find time to make sure his truck is spotless at the end of the day. This Hero isn’t just a refuse truck driver, he’s an ambassador for the city and a true neighbor too. He has been known to update residents on new systems and regulations, and always has time to teach neighborhood kids about his truck and his job. He's an ambassador for the city and a true neighbor to the people he serves.